Usually we do not do tests. But this was and is a necessary exception. In late February I had a bike accident with a three fold fracture of my jaw. A fairly rough ride. After surgery and a few titanium plates later (you can guess from the x-ray why I spare you with the other images) it soon became clear that I would have to eat soups and drink smoothies for the next few weeks and maybe months. I had read about the big trend for (green) smoothies and wanted to link my unfortunate situation with the possiblity to put some smoothie recipes and the best machines to the test. 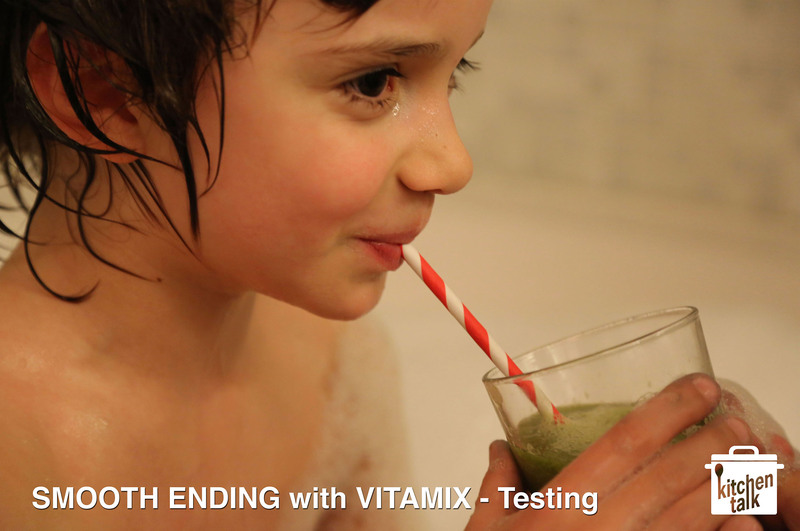 I was lucky to be supplied with a Vitamix Professional Series 750 for an extended test. We unboxed the Vitamix to much applause from our cat. The stainless steel body looks and feels heavy duty. The machine is heavy and sturdy, the blades look sharp and fit for the job. According to the manual we had to clean the container and the blades by pouring in hot water and giving it the first spin. The first cooking task for the machine was a turnip cabbage soup with mint leaves. We first cooked it as usual and then tried to blend it with our normal hand blender. The result was okay, but you could still see turnip and mint pieces. The texture was not completly smooth but still grainy with bits and pieces visible. We then poured the soup into the Vitamix container, to see what it would do with it. The result of the minute of blending was incredible. The 2 horsepower engine roared and produced an impeccably smooth result. The mint leaves were reduced to little green spots. Impressive. Following the trend to healthy looking green smoothies we tried out various recipes with spinach and other green vegetables. 1″Green alien slime”: Spinach, melon, oranges, apple juice, mint leaves. 2 “Orange alien slime”: Oranges – Carrots – Curcuma. 4 “The dark side of power”. The darth vader of smoothies. Dare. – Tomato, Chili, spring onions, thyme, tomato juice. 5 “Red alien slime”: Beetroot, apples, pears and apple juice. 7 “Light green alien slime” – Acocado – banana – oatmeal – lemon balm – salt. 8 & 9 “Alien baby slime”: Banana – apple – orange – chai seeds – oatmeal milk. 10 “Mango Alien Slime”: Apple – Mango – Apple juice – lemon balm … and go! It turned out that the german VITAMIX cook book that was supplied with the Vitamix was more like a babelfish-translated version of the US cook book. A funny read but catering more to the state-side tastebuds. We turned to other cookbooks and also had a go at the famed OTTOLENGHI’s Cook book (not only for smoothies) and Atilla Hildmanns’ hyped „Vegan for Fit“. These were less american and much more interesting and diverse. The humus from OTTOLENGHI and Hildmann’s “Firestarter“ breakfast smoothie are two phenomenal highlights. After a while you know what vegetables and fruit go well together and you can create your own instant smoothies within a few minutes. With the machine’s ability to really blend tastes of ingredients the possible combinations are endless. We were even thinking about blending classic recipes like spaghetti bolognese or fish’n’chips. If only for the sake of a one-time experience. It started as a test and now the Vitamix feels like an indispensable kitchen tool. My kids now call the smoothies “schmusies” with a nice twist in meaning. My teeth and jaw are getting back to normal slowly but our VITAMIX will be missed. 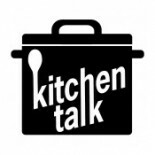 This entry was posted on 23/05/2014 by Chef de Cuisine in Uncategorized and tagged blender, Cooking, kitchen accessories, Smoothies, Test, Vitamix.